My husband and I have been changing how we walk out our own faith in a real and tangible way our kids can understand. Our middle daughter brought home her own set of “Resurrection Eggs” or Easter Story Eggs from church last night. I didn’t really realize at first what I was holding in my hands but after a closer inspection and I’m super excited to be able to use them this Easter. I know this isn’t a “new concept” but it’s new to me! 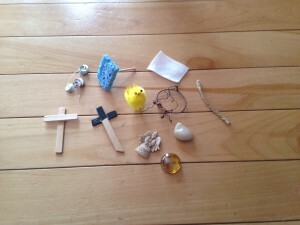 With a toddler in our home Easter can be a little complicated to explain in a way that she can understand. Resurrection eggs are an effective tool in teaching about the significant parts in the story of Jesus dying on the cross for our sins and then rising again in defeat over death. If you are not familiar with them, they are a set of twelve eggs that you open up one a day (like an advent calendar) in the twelve days leading up to Easter. Each egg has an object and a corresponding bible verse that talks about a part of the Easter story. -12 brightly coloured plastic eggs. 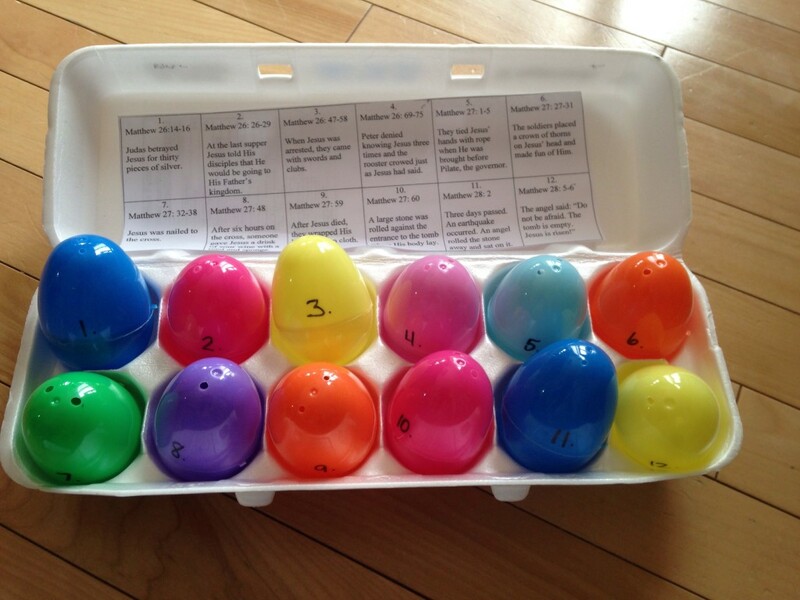 Her set of eggs had all of the scripture references glued onto the inside of the egg carton. Depending on how this goes I might make my own tags and tuck one inside each corresponding egg so the readers in the family have to wait for each day to unfold. So what’s in her Easter Story Eggs? I’ve included the scripture reference along with what’s tucked into her egg. Judas betrayed Jesus for thirty pieces of silver.y pieces of silver. At the last supper Jesus told His disciples that he would be going to His fathers kingdom. When Jesus was arrested they came with swords and clubs. Peter denied knowing Jesus three times and the rooster crow just as Jesus had said. They tied Jesus hands with rope when he was brought before Pilate the governor. * toothpick with small sponge attached to the tip. After Jesus died, they wrapped his body in linen cloth. A Large stone was rolled against the entrance to the tomb where his body lay. Three days past. An earthquake occurred. An angel rolled the stone away and sat on it. * this egg is empty!! 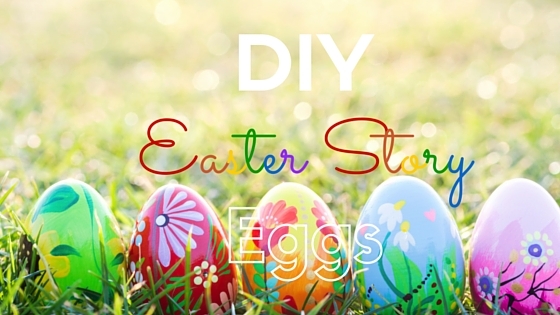 This will be my first year trying a different approach to sharing with our little ones the story of Easter. So, if you have used the Resurrection Eggs before, do you have any tips? And if you don’t use the eggs, how do you teach (or plan to teach) your kids about Easter? What a great idea! I need to remember to do this next year. Charlotte does this at church and I think its really cool! Love this! Such a fun and educational project! We are making these in our MOPS group next month. Excited! That is definitely a great way to teach children the true meaning behind those fun eggs! We are hoping the message is simple enough the three year old can understand while reaching deeper with the older ones. I have never seen them for sale at our local Christian store. Will have to keep my eyes open for them! My mother did this with us every year growing up. What a sweet memory! Now that what I needed to hear! I love using resurrection eggs. It really keeps our kids church kids attention while teaching them why we really celebrate Easter. Wow! Such a cool idea! I’ve never seen these eggs before, but I like! You can pick them up at the dollar store and Walmart in early march if you look for them. The eggs themselves are pretty cheap to purchase and all the “stuff” inside you can find at a craft store. Oh My I Am So Doing This My Kids Will Love Thank You!!! Let me know how it works out! This is our first year using them so It’s new for us too. I had no idea about ressurection eggs, this would be a great project for Christian families. Exactly! And super easy to store so it won’t get lost in the shuffle for next year. I’ve never heard of this before but it’s definitely an interesting idea. Easter isn’t a religious holiday in our family, for us it’s all about the bunnies, baskets and eggs. Oh, what a great idea! I’m sure the kids will love it. I have to share, I love your blog! I was checking out our designer yesterday! Very cool way to teach a story that means a lot to you! I love that it’s not all about candy. I love this idea and am totally borrowing it for my kids. Thank you for posting this. we love our resurrection eggs, we do them every year. I bought mine only because I had no idea you could make them! Oh my goodness I’m so stealing this idea from you! My kids would LOVE it so much. My kids can not wait! I was raised catholic, but had never heard of this. Neat idea. I was “raised” Anglican so this was new to me as well. I can spout off the creeds like nobody’s business but never saw this before. We now attend an alliance church. I taught all my kids straight from the Bible. I do like this idea though, and I know a lot of people use it because it helps the kids understand. We do as well but I have discovered our kids are visual learners. They learn a lot thru play. Thanks!! The kids are supper excited to get started. I love how you use the eggs! I have never seen that before! Love it! What a neat concept. I’m not Christian, but I figure if you are, you should do it right and not go all bunnies and chocolate. Oh wow, I love this idea! I need to do this with my son. /very interesting way to teach about Jesus crucifiction and resurection. I’ve never seen these before. How clever! What a fun, and memorable, way to share the Gospel with children. I saw resurrection eggs for the first time ever last year. I didn’t grow up in a very religious family, either, and I’m still not really religious to this day. I do think it’s important to teach kids the reason behind the holiday, however. Love this! I have seen these before, maybe this year we will use them! I’ve never heard of this before. What a neat idea! What a fun way to teach – great way to teach. I prefer the hands-on learning through play teaching methods. I find the lessons sink in so much easier! This is so creative! I wish I would have thought up something like this when my kids were young. My kids have made these before and they thought it was really neat. It’s such a fun way to share the Easter story. Did your resurrection egg have the same items in them? What did your children think of it? Is there anything that you would’ve changed or done different? This is so cute and I love it!! I love that they teach kids the absolute true meaning behind Easter, and they do it in a modern twist with the eggs–LOVE!!! They’re kind of like educational and spiritual fortune cookies! Exactly! I love how they eggs are simple enough that my three year old can grasp the meaning of the trinkets inside. That is a fun way to go about teaching the stories to your kids. What a beautiful and fun way to teach the story of what led to Jesus’ death and then his Resurrection! Little tiny jelly beans. They never taste as good during the year as at Easter time. And just when you think you have eaten them all — you disocver some beneath the Easter grass. Serendipity! !